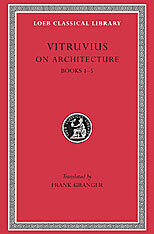 Vitruvius (Marcus V. Pollio), Roman architect and engineer, studied Greek philosophy and science and gained experience in the course of professional work. He was one of those appointed to be overseers of imperial artillery or military engines, and was architect of at least one unit of buildings for Augustus in the reconstruction of Rome. 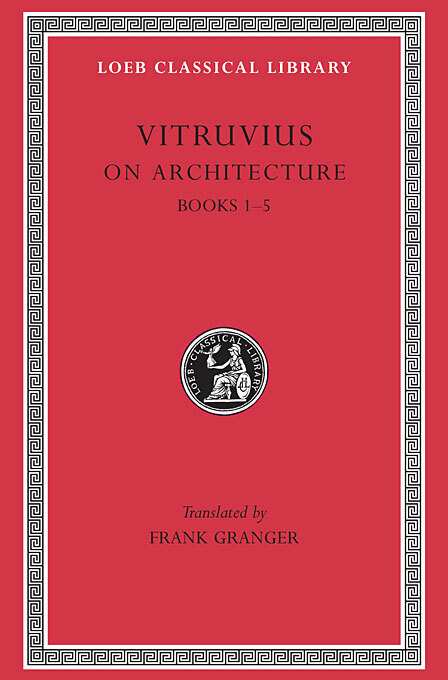 Late in life and in ill health he completed, sometime before 27 BCE, De Architectura which, after its rediscovery in the fifteenth century, was influential enough to be studied by architects from the early Renaissance to recent times. Book 1: Requirements for an architect; town planning; design, cities, aspects; temples. Book 2: Materials and their treatment; Greek systems. Book 3: Styles: forms of Greek temples: Ionic. Book 4: Styles: Doric, Corinthian; Tuscan; altars. Book 5: Other public buildings (fora, basilicae, theatres, colonnades, baths, harbours). Book 6: Sites and planning, especially of houses. Book 7: Construction of pavements, roads, mosaic floors, vaults; decoration (stucco, wall painting, colours). Book 8: Hydraulic engineering; water supply; aqueducts. Book 9: Astronomy; Greek and Roman discoveries; signs of the zodiac, planets, moon phases, constellations, astrology, gnomon, sundials. Book 10: Machines for war and other purposes.